The Joint Committee on Standards for Educational Evaluation (JCSEE) was founded in 1975 as a coalition of major professional associations concerned with the quality of evaluation. AEA is one of those associations, and sends a representative to the Joint Committee. 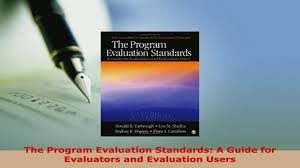 The Joint Committee has developed a set of standards for the evaluation of educational programs as reflected on this page. Although AEA has not formally adopted these standards, it does support the Joint Committee’s work. The growth of wireless network has enabled us to use personal devices anywhere and anytime. This has helped mankind to improve in every field of life but this has led many threats as well. Wireless network has led to many security threats to mankind. 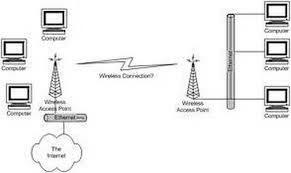 It is very easy for the hackers to grab the wireless signals that are spread in the air. It is very important to secure the wireless network so that the information cannot be exploited by the unauthorized users. This also increases the risk to lose information. Strong security protocols must be created to secure the wireless signals like WPA and WPA2. Another way to secure the wireless network is to have wireless intrusion prevention system. The different types of wireless communication technologies include: Infrared (IR) wireless communication: IR wireless communication communicates data or information in devices or systems through infrared (IR) radiation. Infrared is electromagnetic energy at a wavelength that is longer than that of red light. Working: IR wireless is used for short and medium-range communications and security control. For IR communication to work, the systems mostly operate in line-of-sight mode which means that there must be no obstruction between the transmitter (source) and receiver (destination). Infrared is used in television remote controls and security systems. In the electromagnetic spectrum, infrared radiation lies between microwaves and visible light, therefore, they can be used as a source of communication. A photo LED transmitter and a photodiode receptor are required for successful IR communication. The LED transmitter transmits the infrared signal in the form of non-visible light, which is captured and retrieved as information by the photo receptor. In this way, the information between the source and the target is transferred. 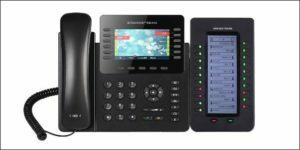 The source and/or destination can be laptops, mobile phones, televisions, security systems and any other device that supports wireless communication.